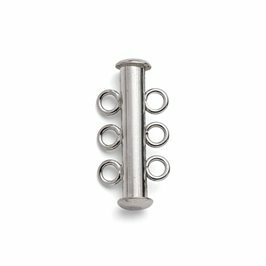 This sterling silver three-ring cylinder clasp is a brilliant way to fasten multi-strand necklaces. 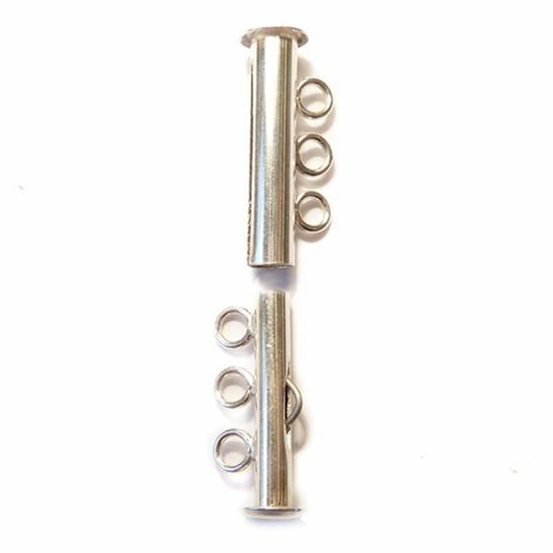 One cylinder slides snugly over the other and is held in place with a small spring catch to provide a sturdy and secure fastening. 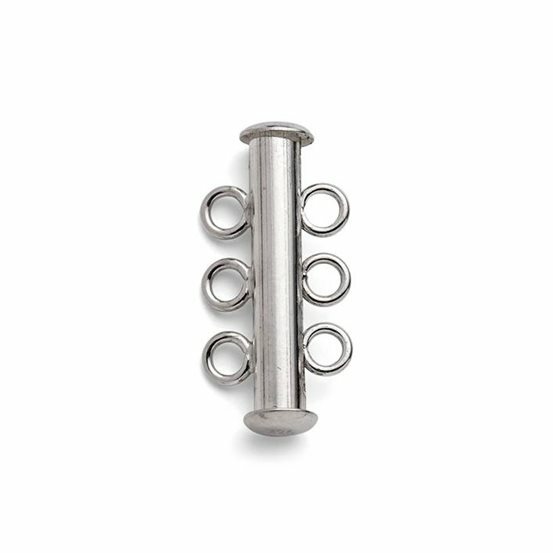 The long clasp lies flat against your skin and the spacing between the rings helps your strands to stay where you want them to during wear. 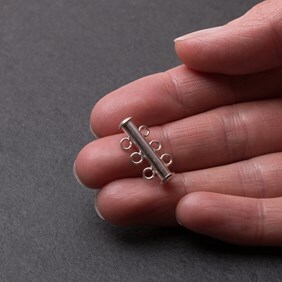 The rings themselves are soldered closed so there is no gap for fine threads to slip through, meaning that your thread can simply be knotted or crimped directly onto the loops. 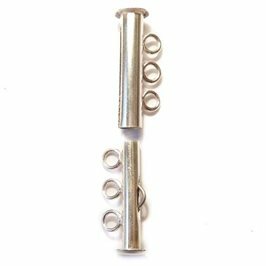 We are confident that you will not be disappointed by the quality or security of this clasp; it can easily handle even quite heavy, multi-strand, bead necklaces.